The output power of PV panels varies continuously depending on some environmental factors such as temperature, shading and solar radiation level and load conditions. PV panels have a nonlinear characteristic since they have different output power at different operating points. Therefore, dc-dc converters are required between PV panels and load to obtain the maximum power from the panels. In this study, the simulation of the flyback converter for two most commonly used MPPT algorithms specifically Perturb and Observe (P&O) method and Incremental Conductance (IC) method are achieved in PSIM and performance of the control techniques are compared. The simulation results of P&O and IC MPPT algorithms are compared for different solar radiation conditions.
.	M. Obi and R. Bass, “Trends and challenges of grid-connected photovoltaic systems–A review,” Renewable and Sustainable Energy Reviews, vol. 58, pp. 1082-109, 2016.
.	T. K. Soon and S. Mekhilef, “A fast-converging MPPT technique for photovoltaic system under fast-varying solar irradiation and load resistance,” IEEE Transactions on Industrial Informatics, vol. 11, no. 1, pp. 176-186, Feb. 2015.
.	H. T. Duru, “A maximum power tracking algorithm based on I mpp= f (P max) function for matching passive and active loads to a photovoltaic generator,” Solar Energy, vol. 80, no. 7, pp. 812-822, 2006.
.	H. Bounechba, A. Bouzid, H. Snani, and A. Lashab, “Real time simulation of MPPT algorithms for PV energy system,” International Journal of Electrical Power & Energy Systems, vol. 83, pp. 67-78, 2016.
.	Q. Zhang, C. Hu, L. Chen, A. Amirahmadi, N. Kutkut, Z. J. Shen, and I. Batarseh, “A center point iteration MPPT method with application on the frequency-modulated LLC microinverter,” IEEE Transactions on Power Electronics, vol. 29, no. 3, pp. 1262-1274, 2014.
.	Mohammad B. Shadmand, Robert S. Balog, and Haitham Abu Rub, “Maximum Power Point Tracking using Model Predictive Control of a flyback converter for photovoltaic applications,” Power and Energy Conference at Illinois (PECI), 2014, pp. 1-5.
.	Y. H. Kim, J. G. Kim, Y. H. Ji, C. Y. Won, and T. W. Lee, “Flyback inverter using voltage sensorless MPPT for AC module systems,” in Power Electronics Conference (IPEC), 2010 International IEEE, 2010, pp. 948-953.
.	P. Konghuayrob and S. Kaitwanidvilai, “Maximum Power Point tracking using neural network in flyback MPPT inverter for PV systems,” in Soft Computing and Intelligent Systems (SCIS) and 13th International Symposium on Advanced Intelligent Systems (ISIS), 2012 Joint 6th International Conference on IEEE, 2012, pp. 1504-1507.
.	J. Beopjun, N. Hyunjun, C. Yeonok, M. Euna, and C. GeumBae, “IncCond MPPT control using flyback converter,” in Electrical Machines and Systems (ICEMS), 2013 International Conference on IEEE, 2013, pp. 357-361.
.	Z. Housheng, “Research on MPPT for Solar Cells Based on Flyback Converter,” in Intelligent Computation Technology and Automation (ICICTA), 2010 International Conference on IEEE, 2010, vol. 3, pp. 36-39. ISNAD OZBAY, Harun . "PSIM Simulation of Flyback Converter for P&O and IC MPPT Algorithms". 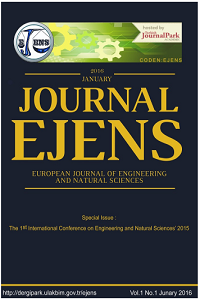 European Journal of Engineering and Natural Sciences 2 / 1 (February 2017): 204-209.